Silver Tone Milagros. 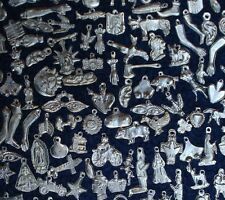 Milagro charms. I will send assorted milagros bunch. not all from the pics but assorted selection. This Feathered Serpent / Quetzalcoatl is a copy if the ones that decorate the QUETZALCOATL PYRAMID at the ancient Teotihuacán Archaeological site. Very detailled, archaeologically accurate Quetzalcoatl head, made from brown laquered resin. 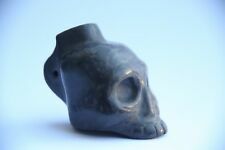 Original Aztec Death Whistle, hand tuned to produce the most frightening scariest sound. Don't settle for cheap imitations. This piece is 100% hand made! no plastic-no resins-no artificial colors-no glazes. Tlaloc is also associated with caves, springs, and mountains, most specifically the sacred mountain in which he was believed to reside. His animal forms include herons and water-dwelling creatures such as amphibians, snails, and possibly sea creatures, particularly shellfish. Ancient Pre-Columbian Ojuelos de Jalisco Stone Alien Disk Artifact! Ancient Pre-Columbian Ojuelos de Jalisco Alien Space Traveler Pendant Genuine! Nice old snake adorned figural mask from Mexico. Made of what looks to be cottonwood ? 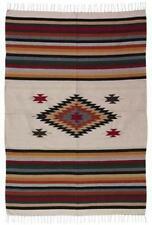 it has a great look when hung and it has NO RESERVE !. Lopez Mexico Artist Signed Silver Copper Brass Signed Scalloped Dish Modernist. Style: Modernist. Features: Scalloped, Silver, Copper, Brass. 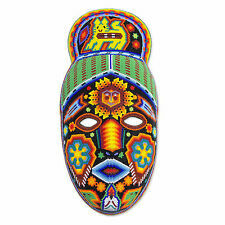 Be sure to also check out our wall hanging Mayan Calendar & DVD Solving The Mystery of the Mayan Calendar. 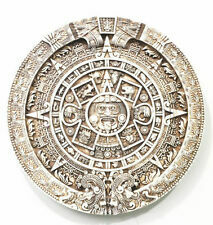 This is a Limited Edition Ancient Mayan / Aztec Calendar Coin. Now you can calculate when the end of the world will arrive. Ancient Pre-Columbian Ojuelos de Jalisco Stone Alien Skull Artifact! 6 ¾" Height x 4 ½" Width (side view) x 4 ¼" Width (front view). 2" rim Width. When dampened it gives off an odor of old clay. Good condition,(see pics). Signature J. Pinal carved on side. A very old copper/brass box with a wood liner and exceptional very detailed scene of what looks to be a giant agave cactus? and a man carrying a large load as he walks by. The rest of the box is inlayed with very iridescent pieces of abalone which adds color, shine, and lots of overall appeal. A nice piece to use, display, or keep for a fine gift and it has NO RESERVE !. Ancient Pre-Columbian Ojuelos de Jalisco Alien Skull Very OLD Genuine! CARVED FROM ONE SOLID PIECE OF WOOD; WINGS ATTACHED. EAR PLUGS HEAD RAP. circa 200B.C. PERFECT CONDITION. BEAUTIFUL SKIRT. A DOVE SITS ABOVE CHRIST'S HEAD AND THE SKULL AND CROSS BONE ARE BELOW HIS FEET. THE BASE AND CROSS ARE BOTH MADE OF WOOD.THE REVERESE OF THE CROSS AND THE BASE HAVE BEEN PAINTED IN A PINK WASH. 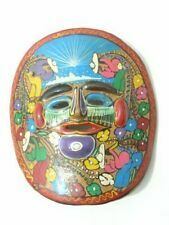 THE PAINTED CHRIST IS PARTICULARLY WELL EXECUTED FOR FOLK ART AND NOW I UNDERSTAND WHY PIECES LIKE THIS ARE SO COLLECTABLE. IT HAS A BEAUTIFUL INCISED DESIGN RUNNING AROUND THE TOP. THE LIP HAS BEEN BROKEN WHICH IS NOT UNCOMMON FOR ITE,S OF THIS AGE. IT IS IN OTHERWISE EXCELLENT CONDITION. The shaker has the typical body shape but this one has a wonderful screw off lid which shows a nice handcrafted design. This shaker is heavy and weighs 264 grams. It hard to image that there are a couple of creases and a few small dents to the body. William Spratling. These are personal salt and pepper shakers. Shaped like Sterling Bullets. needs a professional polish. I have not found any like this set. Ready to use. Both have an easy open bottom with a rubber/plastic insert. PRE COLUMBIAN MONKEY WHISTLE AUTHENTIC MAYAN CLASSIC PERIIOD 2.75" X 1.5"
For sale is this SPECTACULAR hand woven wall hanging. It is very beautiful and would really "pop" as a focal point on your wall! 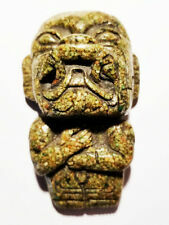 PRE COLUMBIAN WINGED BAT WHISTLE AUTHENTIC MAYAN CLASSIC PERIOD 5.5" X 3.5"
THIS IS A RARE FIND BOTH THE FACT IT IS AN ANCIENT WHISTLE AND IT LARGE SIZE ALONG WITH MOSTLY INTACT AND COMPLETE.THIS PIECE IS ANTHROMORPHIC AS IT DEPICTS A BAT SHAPE WITH WINGS AND HEAD AND NOTE THE EAR FLARES ALSO. Up for sale here is a very old, antique Pre-Columbian, hand decorated / incised black art pottery bowl. The bowl is decorated with what could be described as leaf and maybe cloud motifs. The piece does not have any marks other than a number painted on the bottom which reads P88.143. The actual ceramic girl is 12 1/4" tall by 7". The exquisite ceramic girl is mounted on leather/suede cloth. The artist may have signed the piece but unless you remove the ceramic from the leather piece, I cannot confirm a signature. PRO COLUMBIAN ANTIQUE JAR 600BC TO 1200 AD. PRE COLUMBIAN JAR 600 BC TO1200 AD ANTIQUE. HAS LITTLE CHIP ON THE HANDEL. I GURANTEE IT IS AUTHENTIC. Period & Style: Art Deco Period Frank Art Era Style. Choose to be stylish because it makes life simply marvelous! 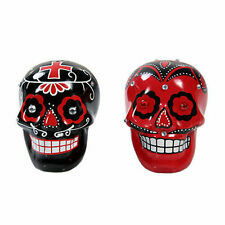 Size: Senor is 13" Tall x 6" wide elbow to elbow and Senorita is 12" Tall x 6" wide across the bell of her dress.